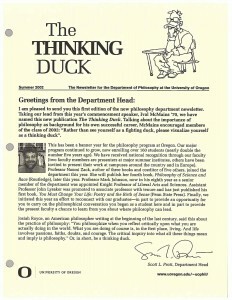 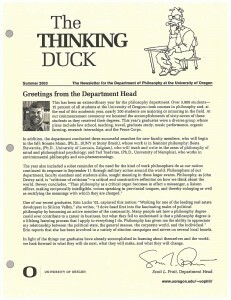 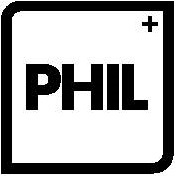 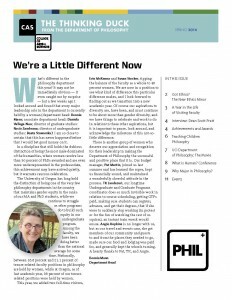 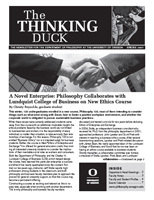 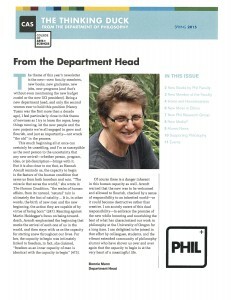 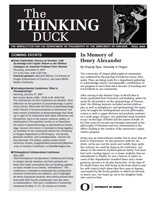 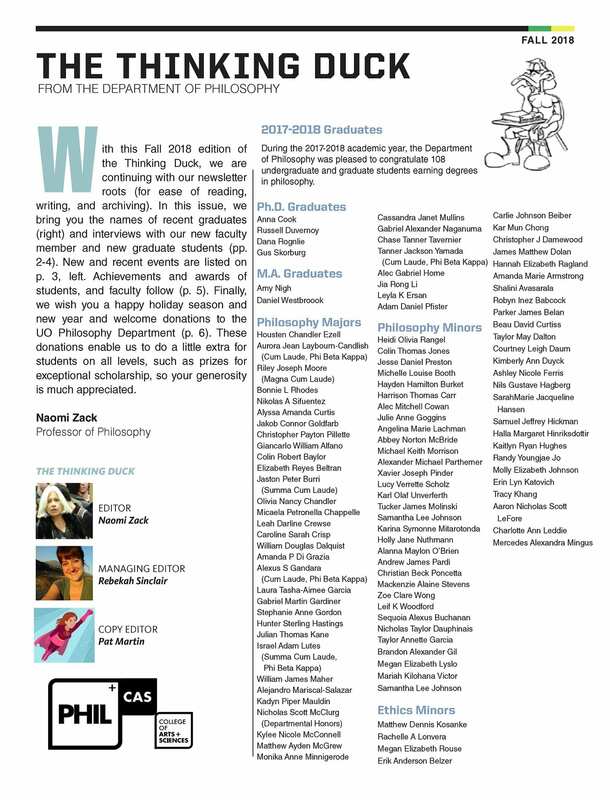 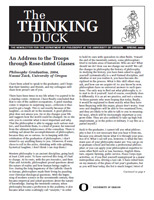 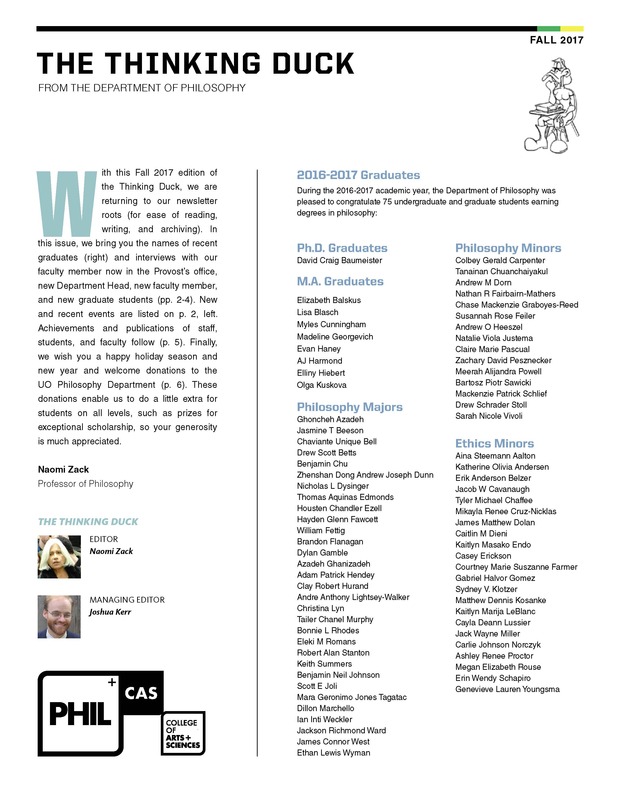 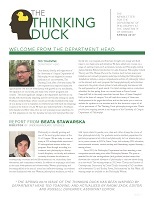 The Thinking Duck is the newsletter of the Department of Philosophy which includes profiles of faculty and students, accounts of recent department activities and accomplishments, and alumni news. 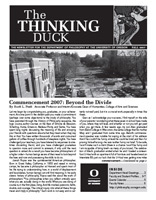 Currently, The Thinking Duck is distributed by regular mail, although we plan to make future issues available electronically on this page. 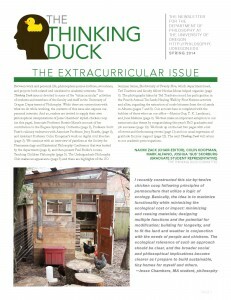 A selection of our back issues are available as PDF files below. 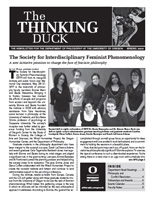 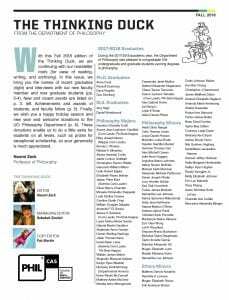 Click on a thumbnail to download the PDF of the selected issue.